Gujarat is known as jewel of India as it is the fastest growing business destination of the country. The official language of Gujarat is Gujarati but it doesn’t mean that this is the only state where Gujarati is spoken. There are many other states like union territories of Daman and Diu and Dadra and Nagar Haveli where people communicate in Gujarati as their core language. Around 4.5% of Indian population (approximately 54.6 million) and 65.5 million people globally use Gujarati language. Out of those people 60% of the people knows only Gujarati Language. So, those people 70% of the population are out of the reach of using emails for their communication as there was no email server that provides them to write mails in Gujarati and have their customised email hosted in Gujarati. But, now it is possible with Xgenplus – Most advanced IDN Email Server. The XgenPlus has removed communication barrier for the people. 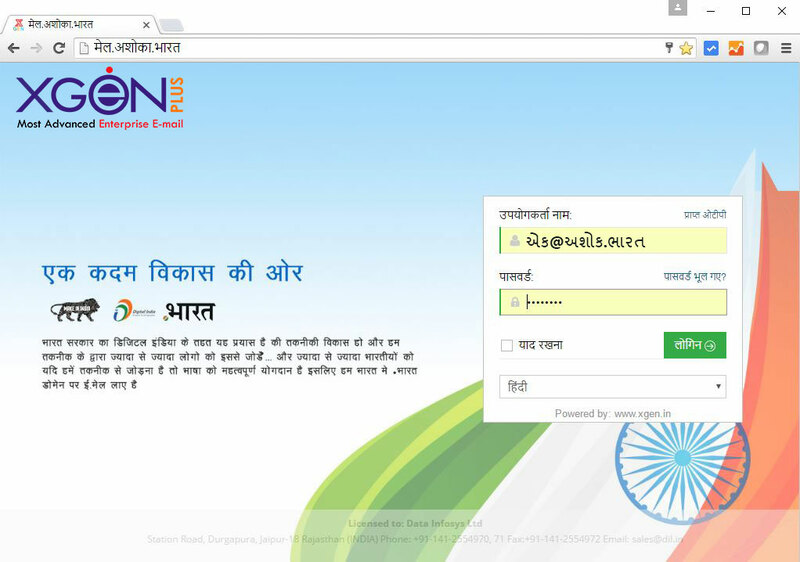 Now , people can have their business email domain in their own Gujarati language. Get Gujarati email address and enjoy the benefits of using most advanced secure IDN supportable email service. To register your Gujarati email address contact our sales team by filling the contact us form or you can send your requirement in a leave a message box.